WikiLeaks has announced a plan to reveal a new collection of reports and documents on the US National Security Agency, concerning its alleged interception of communications within the French government over the last ten years. The whistleblowing team headed by Julian Assange published the first batch of documents proving that the NSA targeted high-level officials in Paris for a decade on their website on Tuesday. Among the key persons marking the list are French presidents Francois Hollande, Nicolas Sarkozy and Jacques Chirac, as well as cabinet ministers and the French Ambassador to the United States. “The French people have a right to know that their elected government is subject to hostile surveillance from a supposed ally. We are proud of our work with leading French publishers Liberation and Mediapart to bring this story to light. French readers can expect more timely and important revelations in the near future,” Julian Assange said in a press-release. The project ‘Espionnage Élysée’ lists cell phone numbers, including the direct cell phone of the president. It will also feature intelligence summaries of conversations within the French government on such topics, as the global financial crisis, the future of the EU and the US spying on France. The cache of documents includes intelligence summaries of conversations between French leaders, their countrymen and foreigner officials on critical issues, including the dispute between Paris and Washington over US spying. Among other topics, the documents also cover relations between the Hollande administration and Angel Merkel’s government, and negotiations over the Greek debt crisis. It’s not the first time that the NSA has been revealed to be spying on European leaders. The agency was found to have targeted the phone of the German Chancellor Angela Merkel, and even used the American Embassy in Berlin as a listening station, according to documents leaked by Edward Snowden and published at the end of 2013. The revelation created a considerable rift between Washington and Berlin. One of the cables dated March 24, 2010 speaks about Sarkozy’s “frustration” over US spying. “Vimont (Pierre Vimont, the French ambassador in Washington – RT) conveyed that the French President will express his frustration that Washington has backed away from its proposed bilateral intelligence cooperation agreement and Sarkozy intends to continue to push for closure,” the cable reads. While the list of phones that were spied on is redacted, French newspaper Libération, in partnership with Wikileaks on this project, identified the numbers. They include not only individual numbers of former President Nicolas Sarkozy, his advisers and several ministries, but also of the service run by the General Secretariat of Defense and National Security (SGDSN) responsible of providing secure communications between the president and his government, also known as “the red phone.” The newspaper writes, however, there is no indication that the secure links have been compromised. In response to the new revelations, Hollande plans to convene a meeting with top defense advisers on Wednesday to “evaluate the nature” of the leaked information and “draw useful conclusions,” the President's office said. 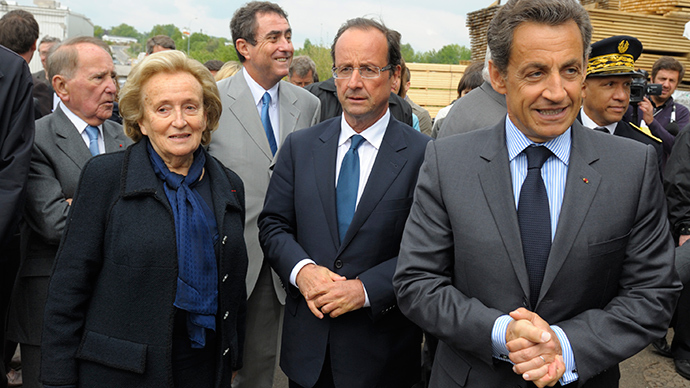 Meanwhile Sarkozy's aide stated, that the former French leader considers spying unacceptable, according to AP citing the aide. Yet the US National Security council said that they have no comment on “specific intelligence allegations,” but stressed that as a general rule they do not spy on leaders.